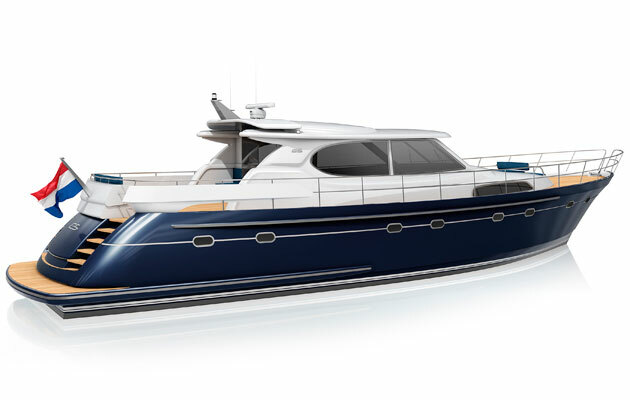 Motorboat & Yachting: Dutch firm Neptune Marine has announced that it will be launching its new flagship model the Elling E6 in May 2016. Motorboat & Yachting: A motoryacht belonging to Mexican politician Jorge Kahwagi was sunk in Acapulco during Hurricane Carlos last week. Hurricane season has well and truly kicked off in Latin America, with the Mexican coastal resort town of Acapulco being battered by high winds of 90mph and torrential rain last week during Hurricane Carlos. And it turns out that one of the victims is a stealthy, black motoryacht belonging to local politician and TV personality Jorge Kahwagi. As this dramatic footage shows, Mr Kahwagi’s vessel was moored without any storm lines, making it easy prey for Hurricane Carlos when it hit on Sunday June 14th 2015. In the video, a brave deckhand can be seen struggling to remedy the situation by putting out extra fenders, despite the surging waves lapping over the pontoon. Local news provider Diario del Morelos reports that the vessel, which is believed to be worth 11m Pesos (£450,000), did not survive Hurricane Carlos. 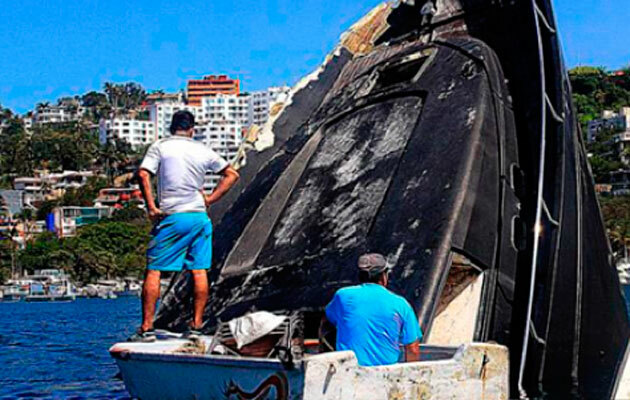 In a photo posted to Twitter, the newspaper showed the storm-ravaged bow of the motor yacht as it was being salvaged on Friday June 19th 2015. Motorboat & Yachting: The Señora Trust has raised £20,000 to restore this classic motor-sailer, which will take pride of place at the 2018 Sunderland Tall Ships Festival. 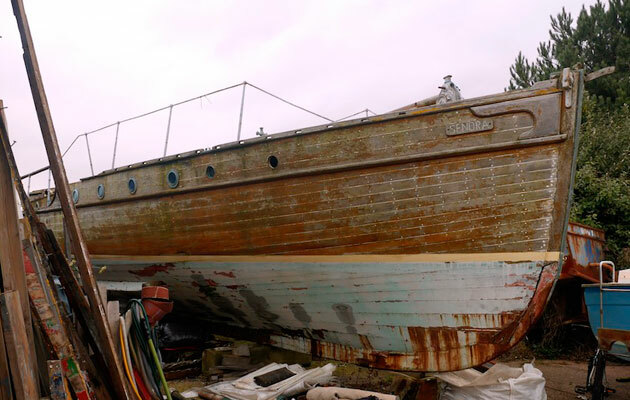 A 107-year-old motor-sailer will be undergoing an extensive restoration over the next three years, after the necessary funds were raised to set up a new boatbuilding college in Sunderland. Señora is a 50ft Alfred Mylne ketch motor-sailer design that was built on the Isle of Bute by Archibald Malcolm in 1908. Her original Gardner paraffin engine has been replaced by a Chrysler Diesel engine, giving a top speed of 14 knots and earning her the nickname ‘the E-Type Jag of the Western Isles’. Former owners include the chairman of P&O, a wealthy Scottish industrialist and a racing driver. Señora was also requisitioned by the Amiralty during both World Wars and took part in the Dunkirk evacuation. However, she has since fallen into a state of disrepair on the South Coast and her larch and oak hull was due to be broken up for scrap until The Señora Trust intervened. Following a successful public appeal, £10,000 was raised in two weeks to fund the restoration project, before local builders merchant James Burrell doubled the total. The first year’s work will be carried out by a team of 24 local students undertaking NVQ level 3 City & Guilds qualifications in boat building, carpentry and engineering. They will be supervised by a master boatbuilder and project manager, hired by The Señora Trust to work on this historic motor-sailer. However, the grand total needed to complete this mammoth job is £270,000, a target that the Trust hopes to hit in time for her planned unveiling at the 2018 Sunderland Tall Ships Festival. Motorboat & Yachting: One of the five men accused of defrauding Princess Yachts has pleaded guilty during a hearing at Plymouth Crown Court yesterday. A former Princess Yachts employee has pleaded guilty to two charges of conspiring to fraud, Plymouth Crown Court heard yesterday (June 18). Roger Truen, 49, of Plymstock lodged his plea to Judge Paul Darlow and will be sentenced before the end of the year, the Plymouth Herald reports. His four alleged co-conspirators, Glyn Thompson, Michael Honey, Steven Haly and John Tinley have all pleaded not guilty during the court hearing. Judge Darlow moved to dismiss the case against Mr Haly, but the three remaining men will be tried in November. All five men were given unconditional bail. The case relates to the men using Construction Solutions South West Ltd as a means to defraud Princess Yachts International by inflating invoices for goods and services undertaken by third-party companies. The alleged fraud offences, which police have described as “substantial”, took place over a 16-month period between April 1 2012 and August 31 2013, the court heard. 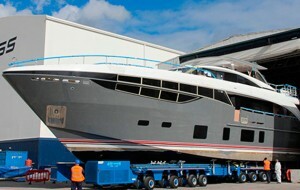 Princess Yachts International is based in Plymouth and builds luxury motor boats measuring between 39ft and 131ft. Motorboat & Yachting: The craze for stand-up paddleboarding is set to sweep this year’s Cannes Yachting Festival in the form of a 100km all-night race. With everything from superyachts to supermodels in attendance, the Cannes Yachting Festival is not the kind of boat show that does things by halves. So when the organisers decided to stage a stand-up paddleboard race, they weren’t content with a leisurely paddle across the bay. Instead, this year’s Cannes Yachting Festival will be hosting the world’s first night-time long-distance stand-up paddleboard race. That all sounds a bit vague, so let’s narrow in on some of the specifics: the total distance is 100km with competitors completing laps of a course taking in Croisette and the Vieux Port. 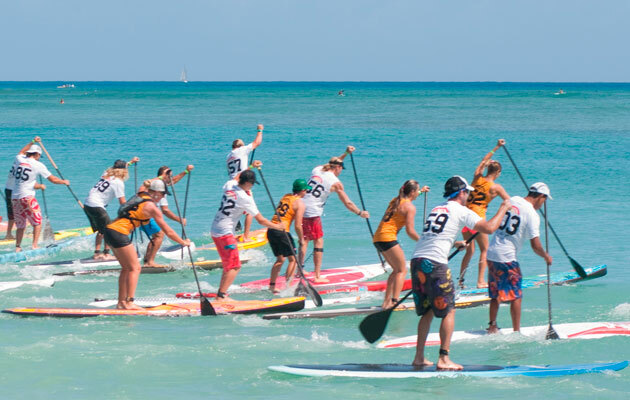 Both relay teams and solo competitors will set off at 1900 on Friday September 11, with the fastest paddleboarders expected to cross the finish line at 1000 on the following morning. An awards ceremony will take place on the beach at 1130 (assuming these poor souls are still standing at that point!). If this gruelling ordeal seems like your idea of fun, then registration costs €75 (£54) for individuals or €150 for teams. The 2015 Cannes Yachting Festival takes place from September 8-13 and ticket prices start at €15 per person or €28 per couple. More than 80 brand new boats will be making their world premiere at the show, and we recently picked out a dozen of the most exciting arrivals. Motorboat & Yachting: Following the success of the inaugural event in 2014, the East Anglian Boat Show will be returning to Woolverstone Marina this weekend. Woolverstone Marina will be hosting the East Anglian Boat Show for the second year running, with a selection of new and used boats on display this weekend (20-21 June). Vessels on display will range from 20ft-45ft and there will be plenty of opportunities for visitors to get on the water at this free event. 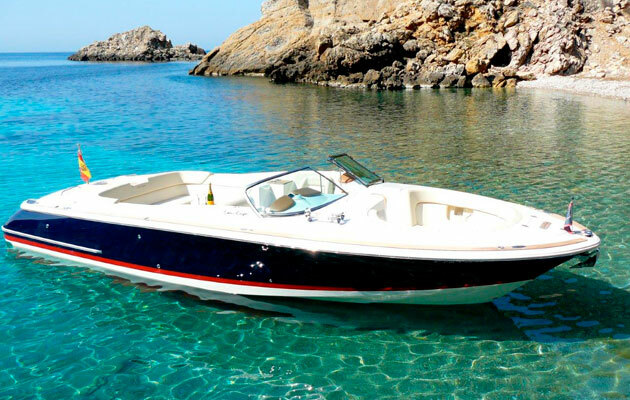 Fox’s Yacht Sales will be making their East Anglian Boat Show debut with four boats on display including the Bénéteau Antares 7.80, and the Barracuda 7. Broom Brokerage will also attending, with a pair of used models on display – namely a Broom 425 and a Broom 41. Free car parking and family entertainment will also be laid on, while local charity the Woolverstone Project will be hosting a fundraising initiative. Organisers will be hoping to build on last year’s encouraging show (pictured above), when more than 2,500 visitors descended on the marina. The 2015 East Anglian Boat Show will run at Woolverstone Marina from 10am to 5pm on Saturday 20 June and from 10am to 4pm on Sunday 21 June. 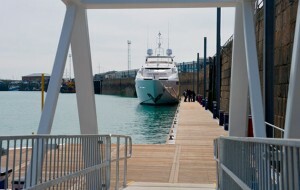 Motorboat & Yachting: The three-year redevelopment of St Helier Harbour is now complete, after Marina Projects carried out £3m worth of upgrades. Boatowners visiting Jersey will find upgraded facilities at St Helier Harbour, following the completion of a £3m upgrade programme. Marina Projects has announced that the three-year upgrade was recently completed, including extensive dredging, which has increased the minimum depth to 9.6 metres at low tide and 12 metres at high tide. What’s more, the old span-link bridge within St Helier Marina has been replaced with a new 52 metre long pedestrian bridge. Additional 24 metre long steel piles have been installed by sub-contractor Fugro Seacore, with rock-socketing to hold them in place. And further improvements have been made to both the visitor berths and the holding pontoons. Feasibility studies on St Helier Marina were carried out in 2012, but the work only began in September 2014 after planning permission was granted. The completion of the project also frees up space in the South West corner of St Helier Harbour for future construction works. St Helier is one of the busiest ports in the UK with more than 20,000 visitors per year, including extensive use by the RNLI. 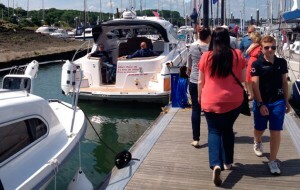 It also hosts the annual Jersey Boat Show, which takes place over the first weekend in May. 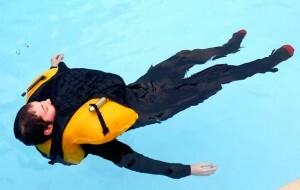 Motorboat & Yachting: BCB Marine will be demonstrating its bulletproof lifejacket at this week’s Seawork Maritime Trade Fair. Motorboat & Yachting: Gibraltar’s Ocean Village marina will be adding ten new superyacht berths as part of a major expansion project. 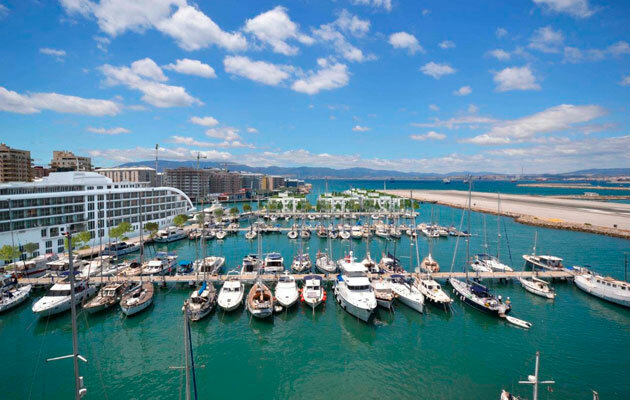 The owners of Ocean Village marina are hoping to attract superyacht owners to Gibraltar for more than just cheap fuel, after a major expansion project was approved. The marina will be adding ten new stern-to superyacht berths, 102 waterside apartments, a new Pier Office, and a landscaped promenade area. Plans were submitted to Gibraltar’s Development and Planning Commission back in December 2015, but were only approved earlier this month. Developers will now carry out further research and provide traffic and environmental reports before the development can move into the design and construction phases. No timeframe or budget has yet been agreed for the overall project. Neil Crawford, director of Ocean Village, said: “Our marina sees superyachts on a regular basis, but usually just for short periods of time or for fuel stops. Ocean Village and Marina Bay are the two main marinas in Gibraltar and between them they include 300 berths measuring up to 80 metres.